You are more likely to see deer on the roads in autumn as April and May is the main mating season for deer. There are 8 types of deer in New Zealand (if you include the potential for some elusive moose in Fiordland), plus Chamois. Not all of them are found near roads, but some, such as Fallow Deer, are very common. The times they are most active are from sunset to midnight and around sunrise. It’s best to try to avoid travelling during these times if you can, but if not, then you need to take extra care, particularly if you ride a motorbike. Deer have minimal road sense and will freeze if they are unable to see an exit because your headlights are blinding them. There are no deer-specific warning signs like there are in the UK, but deer often congregate where pasture joins woodland. Deer have excellent camouflage. When you are driving in wooded areas you will need to pay particular attention to the roadside verges. Deer tend to remain in groups, or herds. If you see one on the road ahead, it’s likely that there are others close by that could run out in front of you if startled. They can be frightened by pedestrians and dogs. 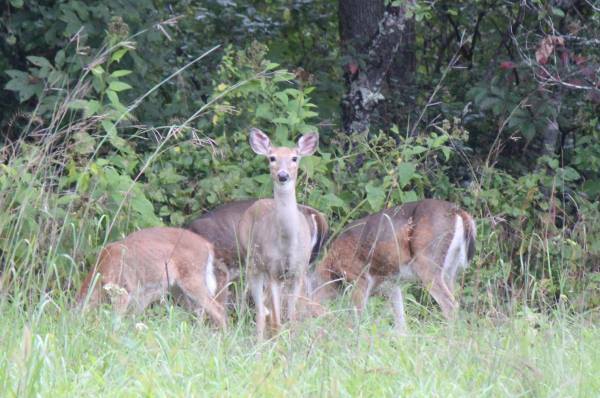 If you have a quiet vehicle, like a hybrid, deer might not hear you coming – they will just see light getting closer. The lack of sound means they will be less quickly frightened. To see deer sooner, drive with your high-beam headlights on, as long as you are not approaching or following other traffic. But, as soon as you see a deer, switch your lights to low beam, or even sidelights until it moves away. Sidelights will allow the deer to see your vehicle approaching and make its escape; if you keep your high-beam headlights on, the deer won’t be able to see an escape route and will most likely either freeze in place, or turn and run along the road in front of your car. This also applies to other nocturnal animals such as rabbits. Deer can seemingly appear from nowhere. If you really have no other option, it’s almost always better to hit a deer then run off the road and hit something immovable like a tree, or swerve into oncoming traffic and have a head-on collision. Obviously, for motorcyclists, neither option is desirable, but motorcyclists have a narrower profile and may be able to swerve around the deer more easily using countersteering. Motorcyclists should do as much of their braking in a straight line as possible because braking while turning increases the risk of a lowside accident. You can only decide whether or not to swerve in the split second you have. Use your horn to try to frighten the deer out of the way. Make sure to take your hand off the horn if you know you’re going to hit the deer because a substantial size deer can set your airbag off, and you don’t want your hand in the way of the explosion that happens to inflate the airbag as it will break your wrist or forearm, plus propel your arm into your face, causing you facial injuries. If you see a deer up ahead, it’s best to immediately slow down. Be careful of other traffic behind you. If you are on a rural road, other traffic might want to overtake you if you slow down and they can’t see the deer ahead. If you have to stop or slow right down on the road, put your hazard warning lights on to warn other drivers. Once you have passed where the deer is, there could be more deer for the next 50-100m, so take it easy. If you live in an area with a lot of deer (or other large animals such as cattle) on the road, you could consider bull bars. Check what is legal in our article here. A large red deer stag can be the best part of 180kg and have horns up to 50cm long. Even Fallow Deer, which are quite small, can reach 90kg. Hitting it with a car will take its legs out from under it, meaning the body will hit the windscreen. This is the dangerous part. If you hit the deer and kill it outright, this is the best outcome for you and the deer. If the dead animal is lying in the middle of the road, it is your responsibility to make sure it’s not a traffic hazard to other vehicles. However, if you hit a deer and merely injure it, there are risks. An injured animal, obviously suffering, could be spooked and run into other traffic, or it could injure you trying to get away. If you hit a deer and it is injured, call *555 and ask for advice. They may point you in the direction of a local vet. Or you can call SPCA. A vet will be able to decide whether euthanising the animal is a better option than treating it. As a deer is large, it will most likely cause some damage to your vehicle. Before you set off, check that your vehicle is safe to drive. If the deer has smashed your headlights or your windscreen, it may not be safe to continue if you are driving at night, in which case you will need to either wait until daylight, or organise a tow truck. 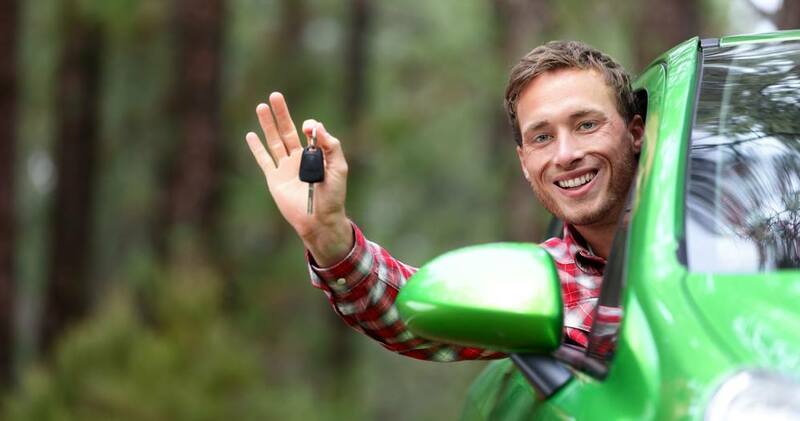 ‹ How much practise is necessary before taking your driving test?